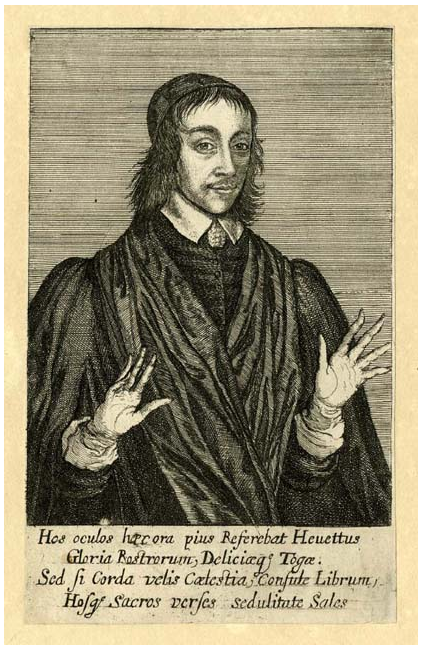 A long poem by Francis Quarles published after his death in 1645. Quarles was a moderate royalist sympathiser and the poem bears this out. 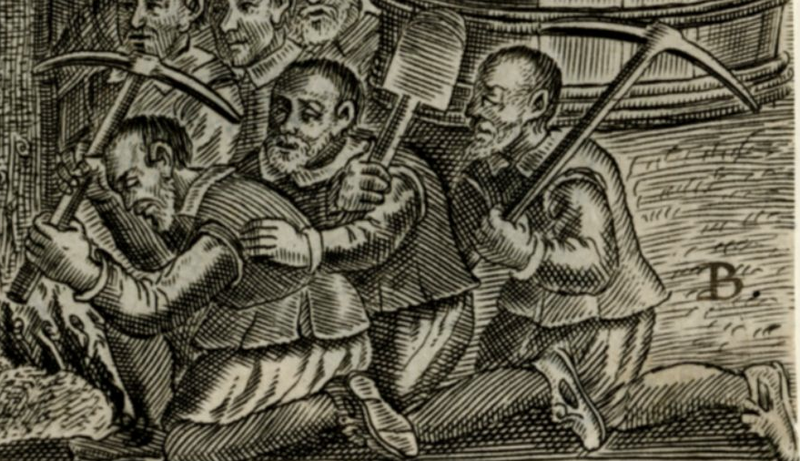 There is some lampooning of Archbishop Laud, but also a defence of church government by the bishops and a denunciation of non-conformist clergy. 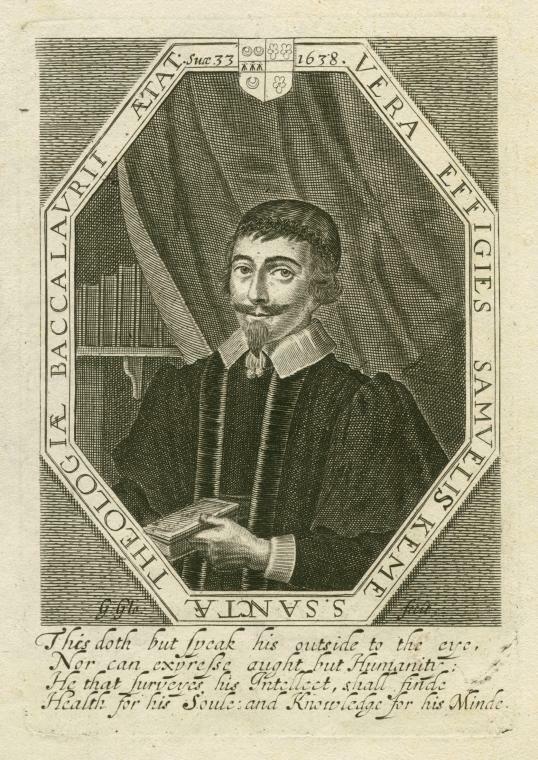 This is the frontispiece and the picture also represents Quarles’ political views. The King defends the tree of religion whilst a cleric waters the roots. On the other side and in the branches however the tree is subject to a variety of attacks. 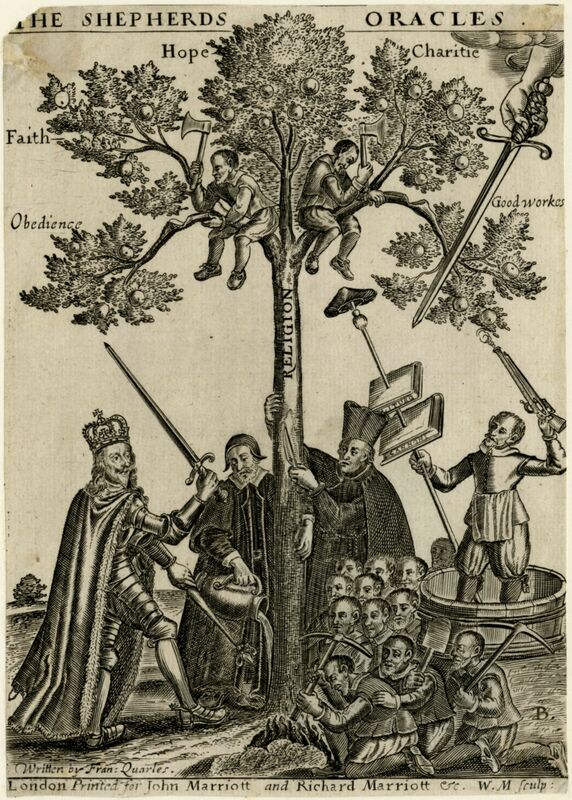 A catholic priest debarks the tree, a tub thumping preacher fires a musket at it, whilst holding a canterbury cap and the liturgy on a pike’s end. Several workmen are chopping at root and branch. 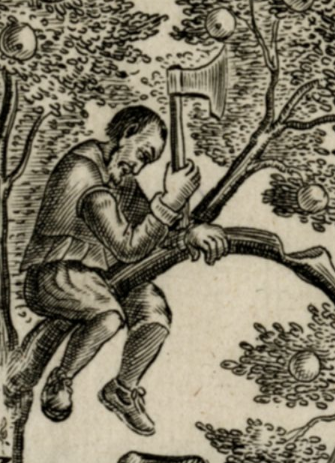 This guy in the branches is definitely dressed as a worker. Short tabbed doublet, breeches and shoes with large openings in the sides. It’s thought that the large side opening made them more width adjustable and may have been made in bulk for the armies. This chap is a mechanic preacher in a tub. 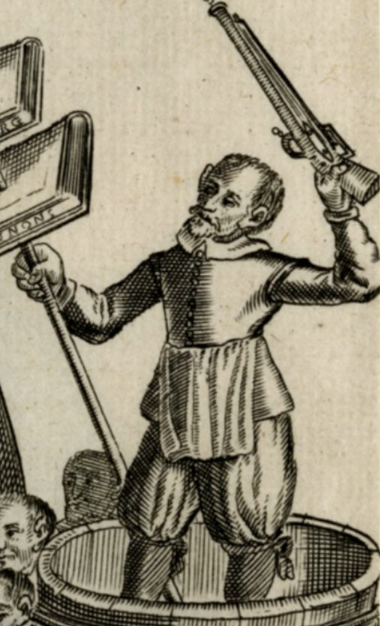 He’s a tradesman, not a trained cleric as he’s wearing an apron over his doublet. Spot the ties keeping his breeches tight to his legs. He’s also a brave man firing a gun over his head. I trust his pan cover fits snugly. And another group of workmen. Chap at the front looks to have had his shoes resoled. Make do and mend. 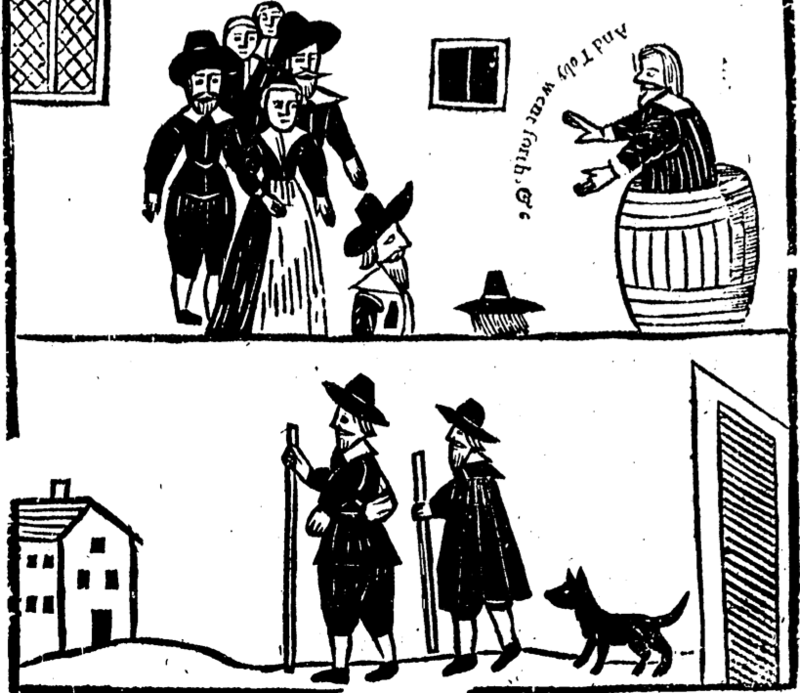 Page four’s images move on to the Protestation Oath and the return from prison of the staunch Independants Burton, Bastwick and Prynne. First the Protestation Act of 1640 required that everyone take an oath of allegiance to the King. Every clergyman in the land was to read the Protestation and have his parishioners sign the oath. Here is a typical cleric in preaching gown, black cap and ruff, whilst his parishioners are in a selection of sleeved coats and collared cloaks. No boots on show though and all bareheaded, indicating they are good episcopalians. Generally, only the independents wore headgear at service. The second picture shows the three independents who were imprisoned and pilloried for their anti-establishment beliefs after they were released by the Long Parliament. Similar selection of coats (spot the turnback cuffs) and cloaks being worn. Note also the rear marker wearing a ruff. A big hero of mine. Parliamentarian cleric who fought in the war and preached some of the most quotable sermons. His last sermon to his regiment was given in 1646 by which time he had reached the rank of major.